When spicy meals don't seem the best idea due to the scorching climate, then the fruit rice salad is the best bet. This cold, nutritious main course is a hit with those living in extreme heat conditions yet require a full sustainable meal. Whisk vinegar, olive oil and mustard in a large bowl. Add rest of the ingredients except pepper and salt. Toss to form a coat of dressing. Now mix salt and pepper. 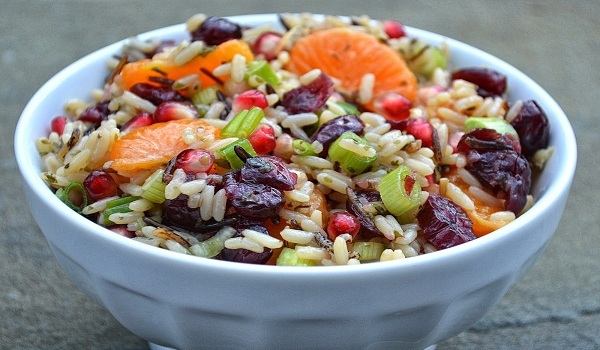 Fruity Rice Salad is ready.